My sketch using non permanent pen and wash and some watercolour. The pen was great for describing the form of the facing stones. Across the little lane from our cottage was this scene. 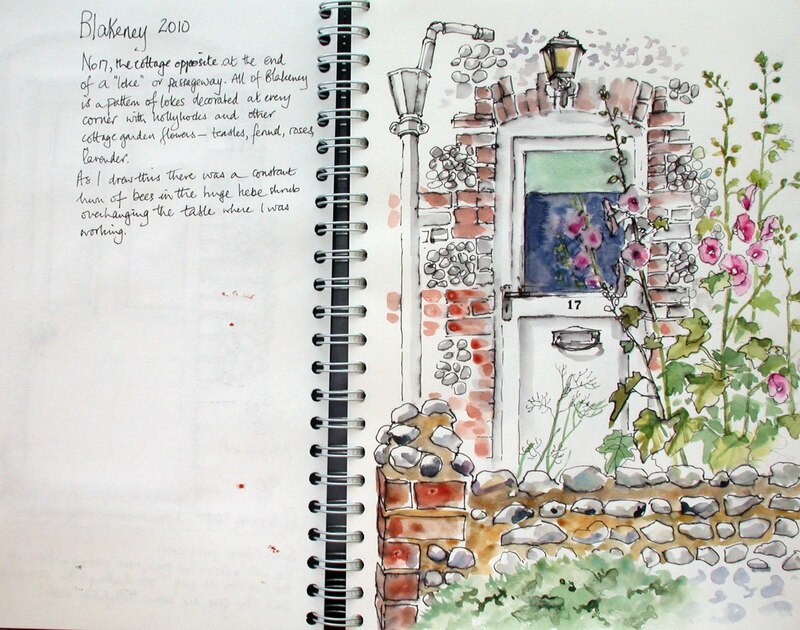 A doorway surrounded by hollyhocks, fennel, poppies, lavender growing in abundance. Determined to put my intentions into practice, I started sketching this the nearest scene to our back door. It was useful to get an idea of how the characteristic stone and brick patterns on the house walls worked for future reference when painting at home. The lady from the house was busy tending her plants and we got chatting. She was up from Norwich for the weekend. 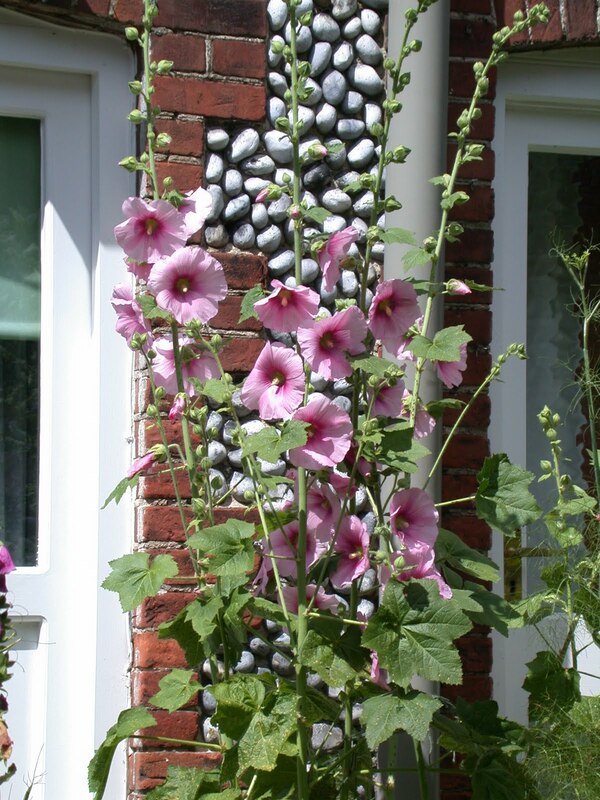 I said how I was fascinated by the hollyhocks at every corner and she showed me how at the end of the summer season of growth she would sway the plants so that the seed pods shed their seeds to come up again randomly another year. And she let me have a bag of seeds!